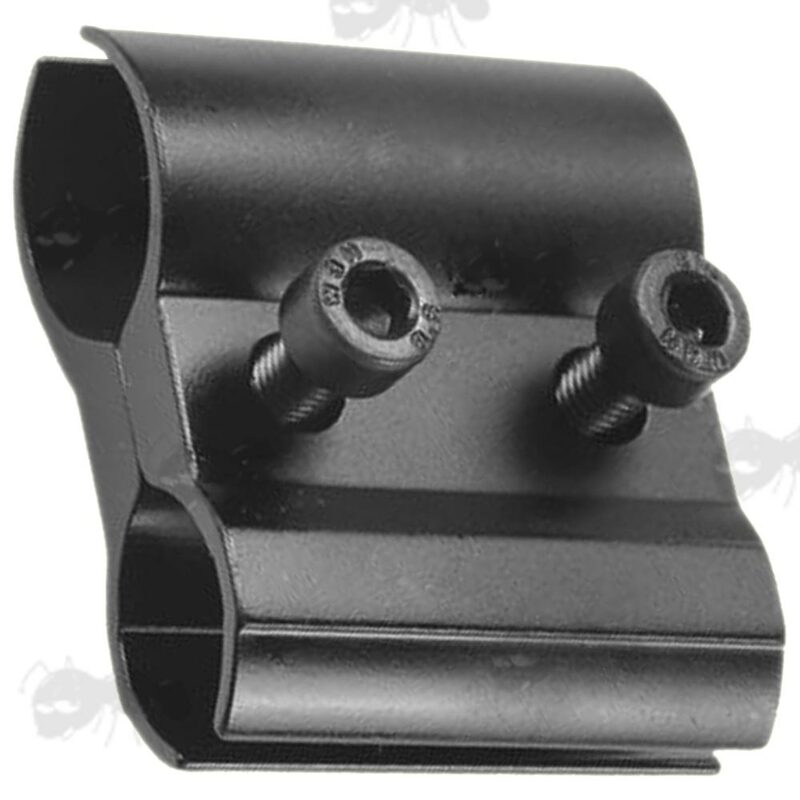 For mounting flashlights or lasers etc to scopes or barrels. 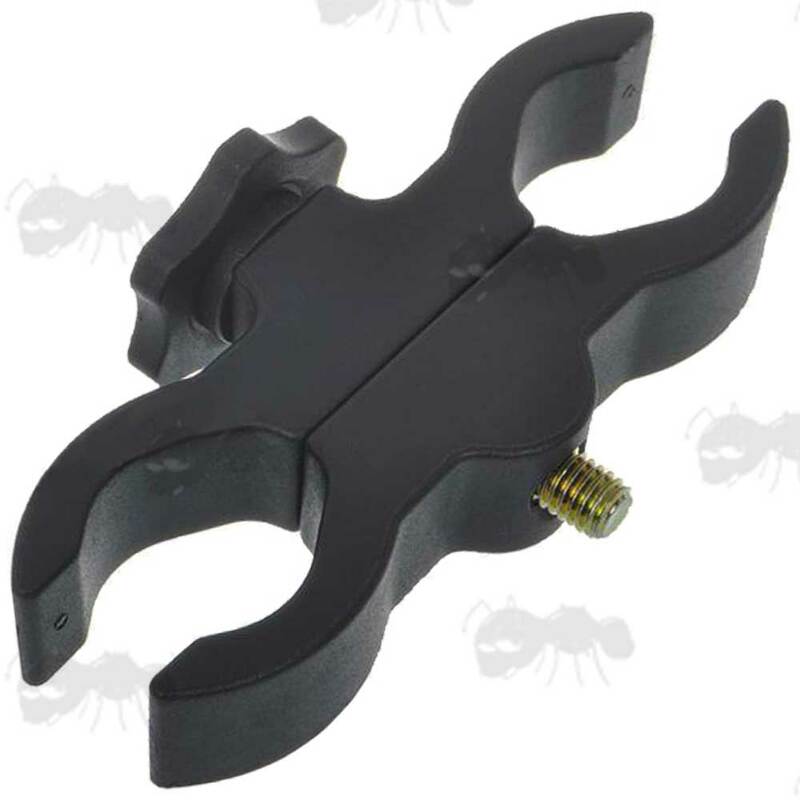 Top clamp adjusts from 23mm to 10mm with the larger clamp adjusting at the same time from 23mm to 18mm. Best at around 20mm and 24mm. All steel construction with steel bolts. 50mm high x 19mm thick. 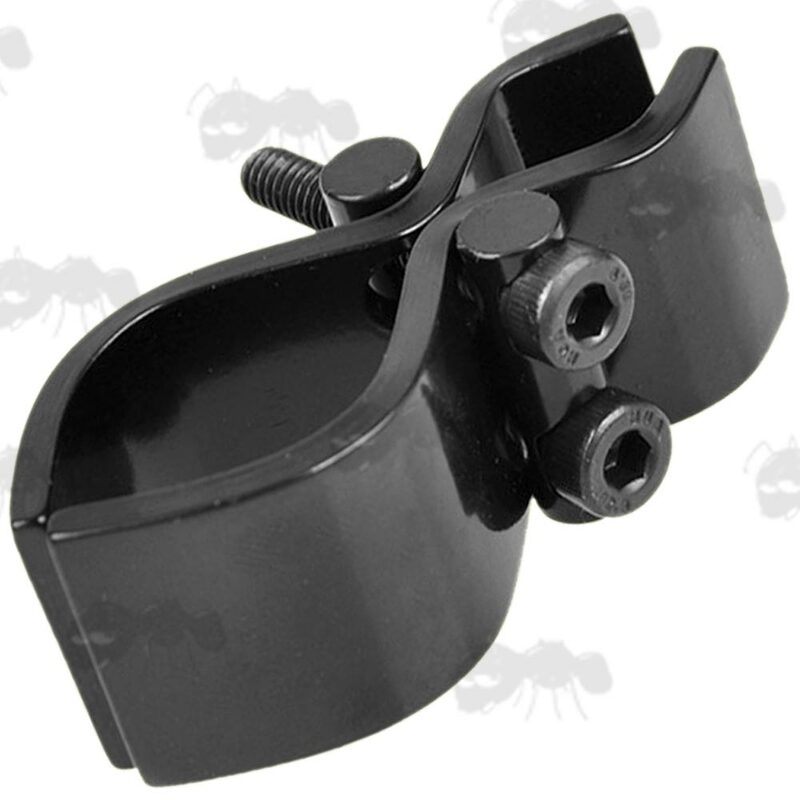 Top clamp adjusts from 30mm to 19mm with the other clamp adjusting at the same time from 22mm to 19mm. Best at around 25mm and 25mm. 60mm high x 19mm thick. 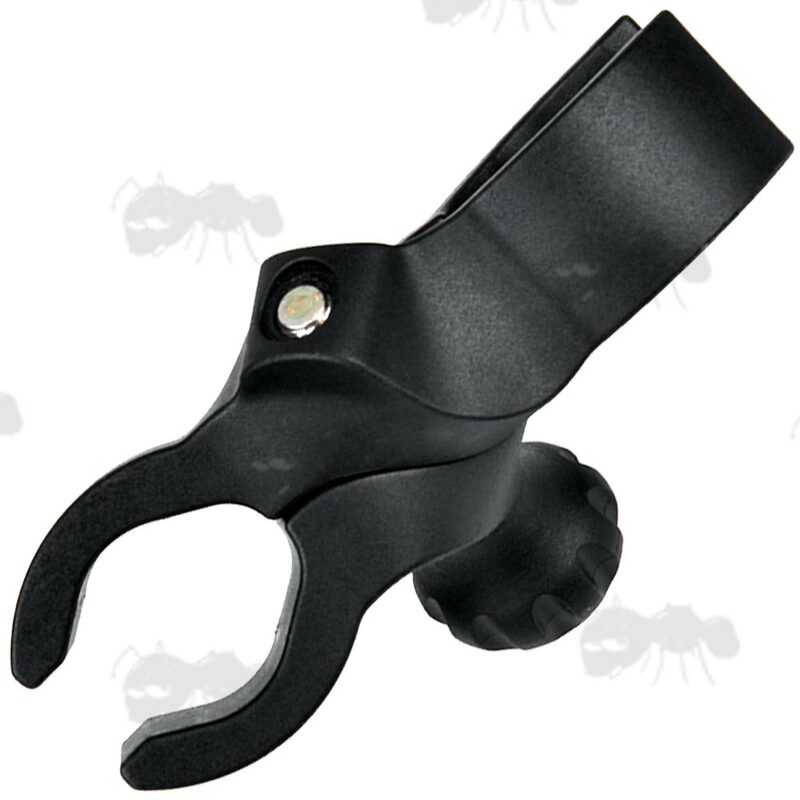 Top clamp adjusts from 25mm to 14mm with the smaller clamp adjusting at the same time from 21mm to 10mm. 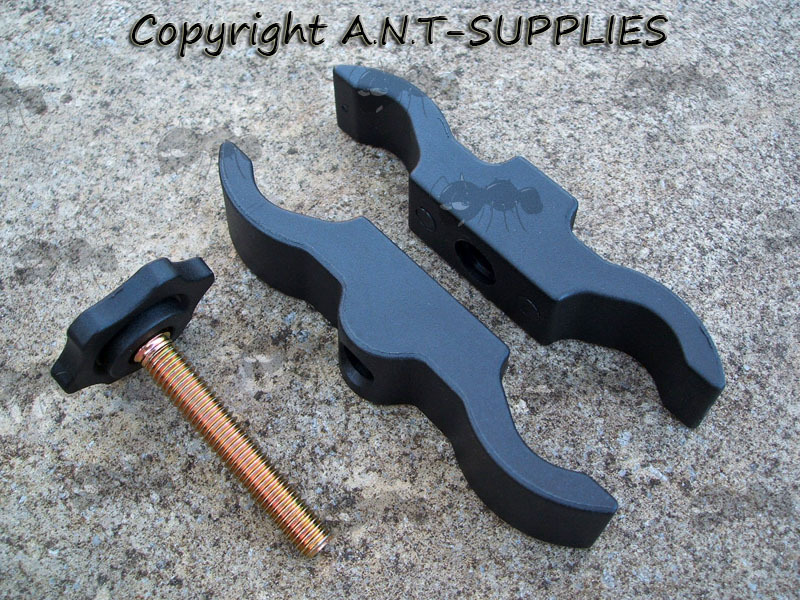 Best at around 22mm and 19mm. Aluminium construction with steel bolts. 46mm long x 38mm thick. 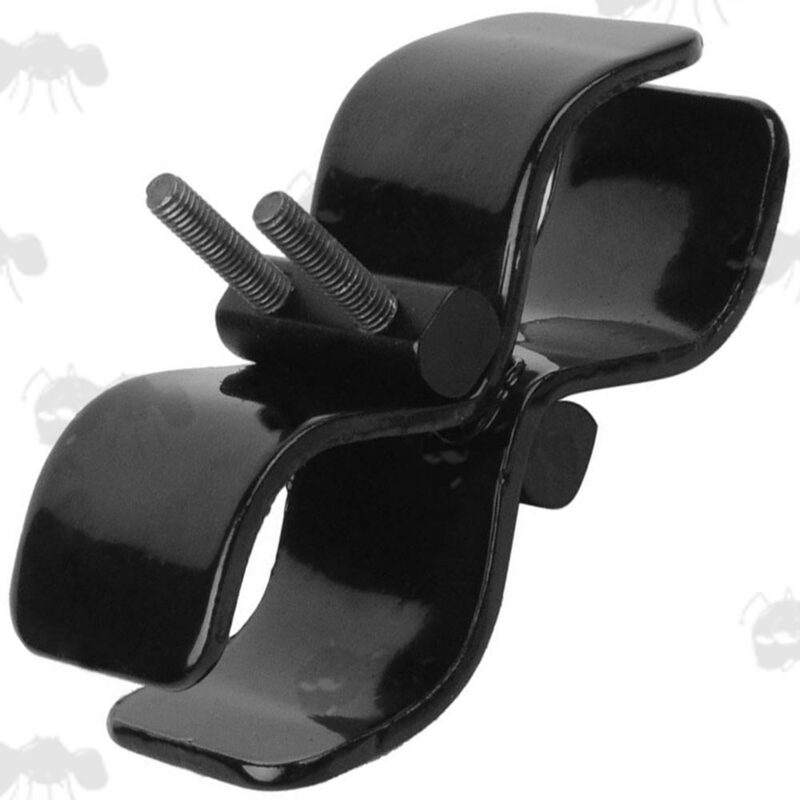 Next > Large ABS Clamp. 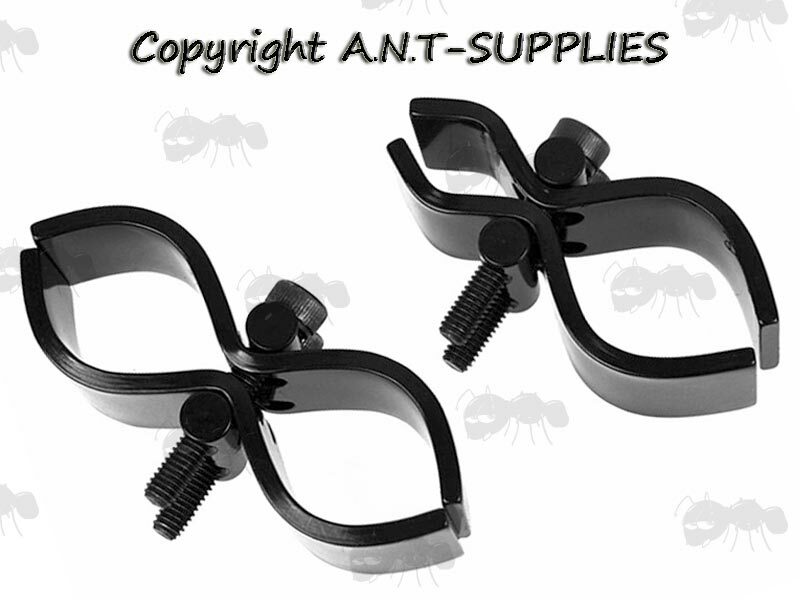 For mounting flashlights and lasers etc to rifles barrels, scopes, bikes etc. Ideally suited for mounting lasers to scope tubes. Approx centres to centres of 28mm. 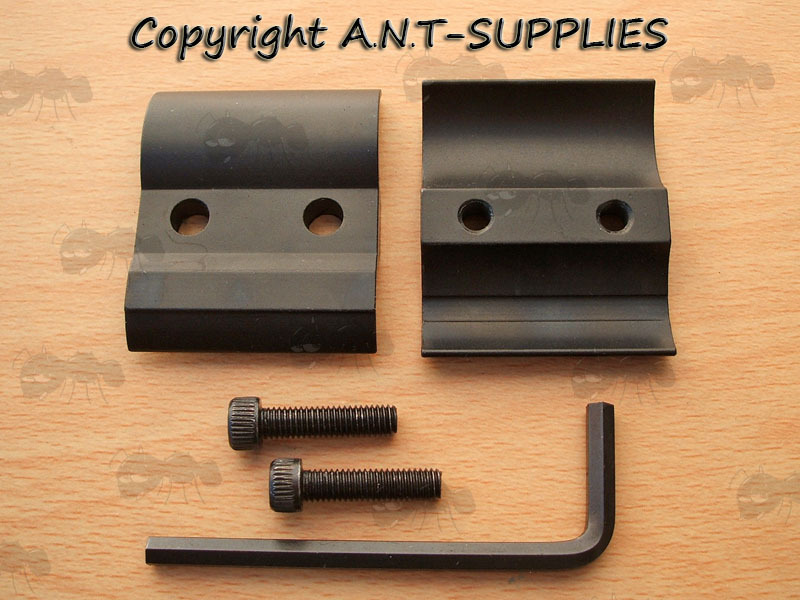 With large head brass bolt. Approx center to center of 73mm. Approx center to center of 76mm. Clamps onto 25mm or 30mm tubes for 25mm or 30mm torches/lasers.